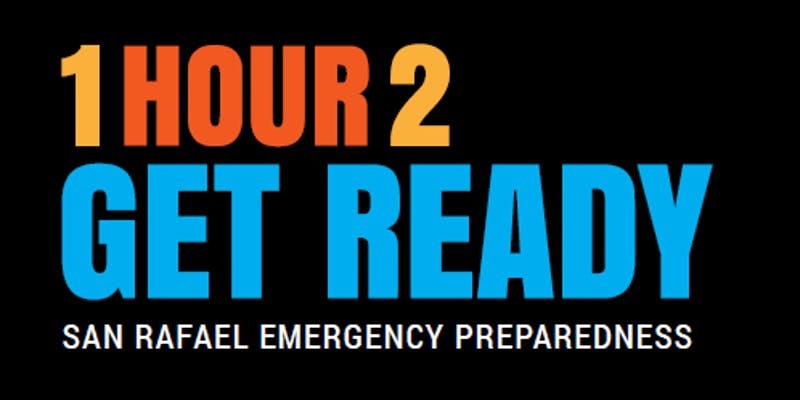 As part of San Rafael’s participation in National Preparedness month, a “1 Hour to Get Ready” with Q&A will be held at the Albert J. Boro Community Center, rooms 4 & 5. 1HR2GR is a brief overview of what you and your family can do in an hour to be more disaster ready and help create a more resilient community. A Q&A will follow the presentation. Space is limited, so reserve your spot today!